This list includes native plants and those hybridized and/or introduced by Tom Dodd,III and Dodd and Dodd Nursery. Although you can get all of the plants some of the time, and some of the plants all of the time, all of the plants are not necessarily ready all of the time. Acer saccharum floridanum Florida Sugar Maple N This tree is the first cousin to the northern Sugar Maples and has the wonderful fall color that the species is famous for. Some show red and most show a deep yellow in late fall. A great tree for the south as we don't have a lot of plants that have great fall color. Unlike many maples, this one isn't dependant on moist sites. It will live almost anywhere and is a fairly rapid grower. Florida N Probably my favorite shrub/small tree, this plant likes a shady spot with good drainage. It has long arching limbs and fragrant, small bell-shaped flowers in the spring that smell like raw honey. The cut foliage is long-lasting for flower arrangements. It makes a nice screen or an attractive specimen. Native range is from central Florida to coastal South Carolina but will thrive in Memphis, Birmingham, and Atlanta. The dwarf form, found by David Taylor, is called 'Leprechaun' and grows only about 1/3 the 25 foot height of the species but with all the other good characteristics. Callicarpa americana Beautyberry NB Deciduous small shrub native from Virginia to Texas. Can be up to 6 feet and is known primarily for lots of purple berries in the fall. Birds love the berries and it is great in fall flower arrangements. Likes some shade and good conversation. Chamaecyparis thyoides 'Henryae' Southern White Cedar N Can grow on dry sites if established with moderate moisture. It was the preferred wood for boat builders and George Washington referred to it as "Juniper" in his notes when he surveyed the Dismal Swamp. We have seen beautiful specimens along many southern rivers. Chasmanthium latifolium River Oats N The first cousin to "Sea Oats" is found in damp, shady areas along rivers and creeks from Pennsylvania to Florida over to Mexico. Will adapt to most soil types and is beautiful, especially in the wind. Chionanthus virginicus Fringe Tree or Grancy Grey Beard N A bit more delicate than it's Chinese cousin and much harder to propagate, thus the difference in price and availability. If you see one at a nursery, get it. This is a plant that should not be dug out of its' native habitat as it is very hard to transplant from the woods. Country folks know a good thing when they see it as you will notice if you enjoy a spring ride in the country. Chrysopsis graminifolia Silk Grass N Not a grass, but a member of the aster family. Fall yellow blooms on strappy evergreen leaves with a silvery sheen. Great groundcover for full sun and sandy soils. general Sweet Pepper Bush N Native from Maine to Florida in the coastal plain and Piedmont areas, this deciduous shrub is usually found in damp areas but will tolerate most soil types and conditions. They have fragrant flowers in the early summer, interesting seed pods (look like peppercorns) in the fall and winter, neat cinnamon bark and there are pink forms and white forms. 'Sherry Sue' was found by Thayer in Grayton Beach and has red twigs with white flowers. 'Ruby Spice' is a nice pink form. Unlike the late blooming form 'Hummingbird', they are much taller, up to 8 feet in some soils. Conradina canescens Rosemary, Beach N Found in sandy, coastal pinelands in Florida and south Alabama. Has pale purple blooms on rosemary scented gray-green needle-like foliage and will tolerate full sun if properly planted and cared for initially. Do not overwater. Coreopsis nana Tickseed, Dwarf NB Spring yellow blooms on evergreen clumps. Will repeat bloom in the shade and spread. 'Kristi' Titi, Small leaved N Thayer and Nell found this near Grayton Beach and named for Nell's granddaughter who was with us on that trip. It is a small tree/large shrub usually found in damp areas with early summer flowers and the seed pods persist until fall when it gets some color on many of the leaves. A finer textured version of C. racemosa. Titi or Leatherwood NBB Found in the coastal plains from Virginia to Texas. A neat wetlands plant that will grow almost anywhere. Beautiful gnarly trunks, good white blooms in early summer, good fall color on older leaves. Underused plant of promise. 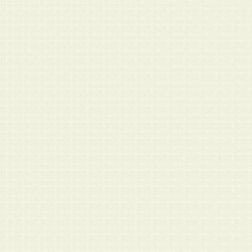 Can be a great accent or incorporated in a screen. It can be a large shrub or a single trunk tree. Attracts bees, butterflies, and birds. Eragrostis spectabilis Grass, Purple love grass N Low growing, clumping native grass with pink fall panicles. Endless possibilities as a ground cover or lining a bed or driveway. Euonymus americana Hearts-A-Burstin' N New York south to Florida and Texas. Deciduous shrub to about 5' tall; interesting 5-petaled white flowers in late spring. In September, the raspberry colored pods open and red seeds hang out. Found in shady woods not too far from water. The seed are loved by turkeys and the leaves and stems are grazed by rabbits and deer. Eupatoriadelphus fistulosus Joe Pye Weed NB Found in sunny, wet areas, usually utility easements. Can get to 8 feet and blooms purple in the fall. Perennial for a damp area that needs a tall plant in the background. Great nectar host for swallowtail butterflies. A smaller cultivar called 'Little Joe' is available. Our front yard has this, Helianthus angustifolius and Vernonia gigantea among others. It grows in one season from flat ground to blooming over your head in the fall and full of life. It amazes guests. We put up a temporary bamboo fence along the front walk to keep the path clear. Fun. 'Mt. Airy' N A member of the witch hazel family, this plant was popularized by Dr. Dirr in Georgia. The species ranges from Virginia to the Gulf Coast and has wonderful fall color. It likes shade and average to dry conditions. Bee Blossom N 'Whirling butterflies' and 'Siskiyou pink' are popular cultivars of this popular perennial. It moves gracefully in a breeze and is a nice filler for any garden. Gordonia lasianthus Loblolly Bay N A member of the Camellia family, this tree is known for the white blooms it produces during the entire summer. It likes some protection from afternoon sun but will tolerate full sun if taken care of while getting established. The largest we have seen were on the banks of the canal in the Okefenokee Swamp. It is rather rare in the wild but is usually found near, but not in, wetlands. It is native from coastal North Carolina to Florida and Mississippi. Rather slow-growing well formed evergreen tree hardy south of Atlanta. Gets good red fall color. Hexastylus x Harperii Native Ginger N Native groundcover ginger. Heart shaped leaves with a "little brown jug" flower. Dry shade. Hibiscus NB Members of the mallow family are cousins of cotton. The native hibiscus are normally found in wet sunny areas along the Gulf Coast and are cold hardy in zone 8 and probably 7. They die back to canes in the winter, which should be cut off before they start growing in the spring. They attract a wide variety of bugs and butterflies. Can grow 5-8' in one season. As the plant ages and produces more stalks, it gets bigger each year. Do well in average but not dry soils. Texas Star NB Bright red deep cut star shaped flowers with deep cut five lobe leaves that have been mistaken by Florida agriculture inspectors. 'Alba' Hibiscus, White flowered White flowered form of red star with same star shape blooms and deep cut leaves. Hibiscus x grandiflora 'Papa's' Hibiscus 'Papa's' NB Given to Thayer by a Baldwin county MG years ago that his Papa had given to him. Probably cross between H. coccineus and H. grandiflora which grows naturally at Gulf State Park. Very large, very bold pink blooms all summer. Large leaves. Large plant. Crimsoneyed Rosemallow NB Large white flowers with rose center. We have enjoyed these at Lake Moultrie for years. Hydrangea quercifolia sp. Hydrangea Oakleaf N Southeast U.S. from mountains to south Alabama and adjacent states. Large leaves lobed like an oak (Quercus is Latin for oak, folia is Latin for leaves) with white flowers in large pyramidal clusters. Several cultivars are grown and most are adaptable to the area from which they originated. They prefer shade and drainage. Even when the leaves have turned beautiful colors in the fall, the flowers persist and can be used in dried arrangements. It is now the state wildflower of Alabama (it is native to all counties of the state) and a must-have plant for the natural garden. 'Ellen Huff' N A cultivar very well suited for the deep south that will do well from Mobile to north of Atlanta. 'Pee Wee' N A cultivar that is smaller than the species and is suitable for smaller natural areas. 'Creel's Gold' N This neat plant was given to us by Mike Creel while he worked for South Carolina Wildlife Magazine. We were able to propagate it and named it for him. It has the typical yellow flowers of all the "St. John's Worts and will get to about 18 inches tall by 18 inches wide. Blooms in May and spot blooms all summer. Some fall color. Full sun to part shade. Nice in masses. Creeping beach N A very low, creeping form of H. reductum. We still can't understand why this low plant from the Southeastern U.S. is named for a tall mountain in Africa??? It is a beautiful ground cover when used in mass and easy to grow in sun with good drainage. myrtifolia Holly, Dahoon N This Southeastern native is a favorite of collectors because of the small, evergreen leaves, the red fruit of the females, and the shape of the plant itself. It lends itself to being a specimen and likes moist sites and will grow in some light shade or sun. We spent years arguing with Dr. Ted Dudley whether it is a separate species or a variety of I. cassine and he said he was taxomically correct and I was biologically correct????? This, and the fact that I don't like grasses, and am not weird, is why I didn't become a botanist. 'Perdido' Holly, Dahoon, 'Perdido' N We selected this form of I. cassine for her tall, pyramidal habit, long narrow leaves, and excellent red berries. It is not as dense as I. cassine 'Tensaw' but makes a light screen for damp areas or in dry sites with some irrigation. She likes sun and is a favorite with birds in the winter when in full fruit. A very good plant for the lower south and coastal areas. 'Tensaw' Holly, Dahoon, 'Tensaw' N We selected this form of I. cassine for her rounded habit, wide green leaves, and red berries. It will make a very dense screen but doesn't get as tall (12 to 15 feet) as most members of the species. This plant needs a moist (but not wet) site and will fruit better in sun. Like most I. cassine forms, It isn't hardy north of Atlanta but can tolerate even south Florida. 'William Hawkins' N Dad found this form on a tree growing in Mr. Hawkins yard in Mentone, Alabama. It was a male, dwarf sport with long spiny leaves. It is a slow growing but neat plant. The largest plant I have seen was about 15 years old and 4 feet tall. Holly, Yaupon N While Ilex crenata varieties do well in the upper South, the "Yaupon Hollies" do much better in the deep and middle South. They have almost no pests, will tolerate most of the soil types and conditions of the southern U.S., and there are numerous forms for many landscape uses. There are tall and narrow forms , weeping forms , shrub forms, small-leaf forms, large-leaf forms, dwarf forms, and forms with yellow berries instead of the normal red berries on the females of this species. Most know that the species name comes from the use by the Native Americans to "purge" the system after a big feast. A South American species, Ilex paraguanensis is still used by the locals to make a beverage, Yerbe Mate', that has more caffine than coffee. I suspect these two species had a common ancestor that produced caffine as a defense against some predator or just to keep somebody or something awake. (Thayer thinks that is the reason I like this species so much.) Although I have been unable to summon the nerve to try I. vomitoria tea, I have had Yerbe Mate (not as tasty as coffee) and it will "crank your tractor". (Three cups of that and you can thread a running sewing machine.) The birds in our area will consume "Yaupon" berries only after all the other holly berries had been eaten as "Yaupon" berries seem to give them a buzz. 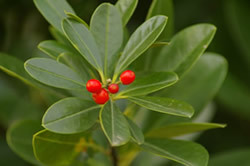 'Dodd's Cranberry' N is an upright, shrub form with numerous red beries. It is a seedling from 'Gray's Greenleaf' (named by Dad) and has many of the same characteristics. It's leaves are also darker green than other forms. 'Fencerow' N is an upright form, female, and is the only "normal" "yaupon" we grow. It is typical of the species. We grow this one for folks that are restoring a native area or are just trying to get a little normalcy in their lives. 'Gray's Greenleaf' N This form was found in east Texas by Mr. Oscar Gray and has a tremendous fruit set, darker green leaves, and is a bit slow growing for the shrub forms of "Yaupon". Mr. Gray let Dad have some of these plants (one type was a male with very tiny leaves, 'Gray's Littleleaf') but 'Gray's Greenleaf' was so superior that Dad named it for Mr. Gray and planted them at his house before he even started growing them at the nursery. Unfortunately, numerous hurricanes have taken the original plant out. 'Lynn Lowery' N This form was sent to Dad by his friend in Texas, Lynn Lowery. Lynn was one of the best plantsmen we ever met and I was fortunate to travel with him to many places in the southeast, Texas, and Mexico looking at plants. The leaves are larger than most forms and the fruit set is perfect for Christmas. 'Oscar Gray' N A male, dwarf form with darker leaves. The original plant, a seedling from 'Grays Greenleaf', is in Dad's yard and is the perfect, round, dwarf form that many prefer for landscaping. 'Stoke's Dwarf' N A dwarf form and is probably to most common type of "Yaupon" found in the trade. Mr. Stokes in Louisiana found this plant and gave one to Dad. He introduced it to the trade in the late '40's. About that time, another nurseryman started growing a plant he called 'Schilliings' that he got from Mr. Schillings. What Mr. Schillings didn't tell the man was that he got the plant from Mr. Stokes and it was the same plant. Since the two nurseries shipped to different customers in the southeast, the plant got two different names in the trade. 'Stokes Dwarf' is the proper name for this variety and 'Schillings' is an illegitimate name according to our late friend Dr. Ted Dudley. 'Taylor's Rudolf' N A female, dwarf form with dark green leaves and lots of red berries. It was selected by David Taylor from some of Dad's 'Gray's Greenleaf' seedlings and I consider it the best of all the dwarf 'Yaupon" forms. 'Bienville Gold' N This large, pyramidal form of I x attenuata ( a naturally occurring hybrid of Ilex cassine and I. opaca) has beautiful gold berries. In the early '80's Dad and I sent some 'Foster' hollies to a customer in King of Prussia, Pa. so they would get pollinated by some northern forms of I. opaca. We were trying to develop some forms that would be more cold hardy than 'Foster'. When the berries were ripe, we had our customer send us the seed and we planted them. (The plants we sent didn't make it thru the winter there.) We found that we hadn't gotten any more cold hardiness but one of the plants had larger yellow fruit and grew very well in the south. It will get to at least 30 feet tall in time and is able to keep its berries on until the spring because most birds don't recognize the yellow fruit as edible. The best looking 'Bienville Gold' I have seen was planted in front of a red brick wall and it was beautiful. 'Nasa' Holly, 'Nasa' N This is a dwarf form of I. x attenuata (a naturally occurring hybrid of I. cassine and I. opaca.) is male, has small leaves and is dark green. It will, in time, get to about 4 or 5 feet tall and 3 or 4 feet wide. It was found by Dad on the NASA site in south Mississippi. It is very slow growing so not many nurseries want to fool with it but we think it has a special place in the landscape. Illicium floridanum Anise, Florida N This large, evergreen shrub loves shade. It is found in swamps (but not in the really wet areas)in the southern U.S. It has crimson flowers in the summer and the leaves have an odor like the herb anise. It makes a great screen in the shade and the foliage is a rich dark green. (A similar form, Illicium mexicanum, is shorter and much harder to grow and ship because its limbs are so brittle.) "Florida Anise" is found from La. To Fl. and on up into S.C. It is the hardiest of all the Illiciums and can grow up into Pa.
'Semmes' N This variety differs from the species in that it has white flowers and will take a little bit more sun. Except for the flowers, it is very much like the species, Illicium floridanum. Hairy Wicky or Beach Laurel N This relative of "Mountain Laurel" is found in shady, well drained areas in the southeast. It is a small, (2 feet) plant with very small leaves and flowers like (but smaller) than the "Mountain Laurel". The small leaves are "hairy" and are not as dark as its cousins but it is a very neat plant for a small area with a lot of year round interest. Lacnanthes caroliana Carolina Redroot N Another neat bog plant. Lantana depressa Pineland Lantana N A rare southeastern native with pale yellow flowers. A good groundcover for sunny, well-drained locations. Cold hardy in Gulf Breeze, FL and probably in Mobile. Dog Hobble N There are many common names for L. axillaris, among them "Dog Hobble", "Fetter Bush", and many others. L. axillaris 'Jenkins' was found down in Florida by David Drylie and given to "Miss Margie" Jenkins in Amite, La. I got the plant from her and asked about a name and she said to call it "Florida Leucothoe". We couldn't do that as that is the common name for Agarista populifolia. So I named it for the neatest lady in Horticulture. It has wider leaves than normal for the species, is dark green, grows very well in the south, and makes an excellent low shrub for a shady, well drained area. It has a lot less trouble with root problems than other members of the species and grows better than any other evergreen Leucothoe we've tried. 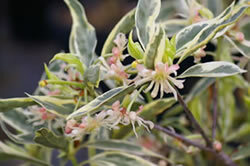 Leucothoe axillaris 'Dodd's Variegated' Leucothoe, 'Dodd's Variegated' N Over many years, we would sometimes find a variegated form of L. axillaris in our seedlings while trying to find a form that was not so prone to root problems. We saved the variegated forms and decided to select one that was the best one to grow. We quit using fungicides on them and watched while all but three died over the years. We selected the best and named it. It makes an excellent low shrub for shady, well drained areas and seems to do much better in the ground than in a container in our nursery. The new foliage in the spring is pink and then it becomes variegated over the summer. In the fall it will change colors slightly. It is a great plant for many seasons in the garden. Leucothoe racemosa Leucothoe I was told there is a new species name for this plant (Eubotrys racemosa) but I'm tired of learning new names and they aren't on my spell-checker. This short, deciduous shrub has long racemes of white flowers in the spring and the seed pods persist into the fall. It has nice fall color and is found in nature near bottom land but not in the really wet areas. The form we have came from Nell Kieff over near Van Cleve, MS in the Pascagoula River swamp. (She's collected many good forms of the plants near her home.) This shrub can get to 3 feet tall and is wider than tall. Lonicera sempervirens Honeysuckle, Coral NBH This native woody vine is a fast growing favorite of butterflies and Hummingbirds. It seeks the sun and likes well drained areas. While it doesn't have the fragrance of "Japanese Honeysuckle", it is not invasive and it has coral flowers instead of the dull beige flowers of its oriental cousin. Peak blooms in mid-spring; some flowers nearly all year. Evergreen on the gulf coast. It can be used on fences and makes a nice cover for an arbor. Lyonia ferruginea Lyonia, Rusty N This small, evergreen tree, native of the Florida Panhandle and adjacent areas, is found in shady low places. It has beautiful twisted, cinnamon colored trunks and the new leaves in the spring are rusty colored. It is slow to grow but well worth the wait. Magnolia asheii Magnolia, Ashe's N This form of M. macrophylla is smaller but will have beautiful, large white blooms at a very early age. It is better suited for a small garden than M. macrophylla and the seed pods in late summer are beautiful. It is found in a few spots in the Florida panhandle and has been reported west of there, but I haven't seen it. It is deciduous and can grow well as far north as Indiana. It has leaves almost as large as the M. macrophylla and the flowers are more fragrant to me. Big-Leaf N This is a very good tree. It likes to grow in shady areas and can get very tall. It is deciduous and has large, white blooms in the spring. I like this tree so much that I named a favorite Basset Hound "Canis macrophylla" (called "Mac" for short) There is a picture in Dr. Roland Harper's book on the flora of Alabama that shows a man holding a branch with leaves almost as long as he was tall and the flower in that picture appeared to be 18 inches wide. I doubt that many of the trees we see today would be as large but we can always hope to see one like that someday. Magnolia virginiana australis Magnolia, Bay N The southern (or australis) form of "Bay Magnolia" is evergreen and can get to be a rather large tree. It has white blooms in the early summer and is normally found near, but not in, swamps and bays. When the wind is blowing, you can see the silver undersides of the leaves and they will add another dimension to the landscape. 'Salty Dog' N David and Patty Taylor selected this form down near the Gulf in Alabama. It is a male form that grows a bit more dense than the species and seems to tolerate salt better than most. It has an upright form and grows almost anywhere there is sun. 'Tom's Dwarf' N During the 1980's, Lynn Lowery from Texas sent Dad many Myrica cerifera seeds he collected in various parts of LA and TX. We planted the seeds and got many different forms. When we were in Charleston, I came down to visit and while Dad and I were riding around the nursery, I noticed that they had propagated several of the forms they had gotten from Lynn. There were a few dwarf forms and I noticed that one of them had no leaf spot, even with overhead irrigation. I asked David Taylor why his crew hadn't sprayed one of the groups. He said none of them had been sprayed. Therefore I immediately purchased all of that form, named it 'Tom's Dwarf', and multiplied those plants. It is a true dwarf in size and one of the easiest "Dwarf Wax Myrtles" to grow. There are several dwarf forms in the trade but we like this one best. 'Wolf Bay' N Another of David and Patty Taylor selections, this form is female with the typical grey berries in the fall. It is more upright and thick than the species and can tolerate salt better than most. It will grow anywhere there is some sun. Oxydendrum arboreum Sourwood N This is one of the few native southern trees that has real decent fall color. In the deep south, it prefers a little shade as it is an understory tree there but in the upper portions of its range, it can take more sun and will generally grow to a larger tree. When purchasing this tree, one should be careful to obtain one from near your planting site to best insure good growth and fall color. Trees from a few hundred miles north don't like to move too far south (like Kalmia latifolia and Cornus florida) but they will move north with less complaints than I would make. The "Sourwood" has long spikes of small while blooms in the summer and they persist as seed pods until late fall. Thus, you could say that it has multi-seasonal interest. N Native clumping ornamental grass. This one selected for color. Phlox divaricata Phlox, Wild Blue or Phlox, Woodland N Early spring blue blooms on this shade loving evergreen groundcover. Phlox paniculata Phlox, Garden NB Southern favorite for 3ft late summer blooms in full sun or part shade. Varieties available change often, please call us. Phlox pilosa Phlox, Downy N Spring pink blooms on short upright plants in full sun. Runs underground. Physostegia virginiana Obedient plant N Has a reputation for not being obedient. Choose location carefully. Will run in wet sun. 2-3ft lavender spikes bloom all summer. I used to see them in ditches in south Mississippi. 'Baldwin' Pieris, Swamp Native N Thayer spotted this plant in the Bon Secure State Park in Baldwin County, Al. We had never considered looking for it in an area near the Gulf that had Sand Pines, Ilex cassine, Sand Live Oaks, etc. so we all were surprised to find it there. In all the books we had read, this plant was supposed to be in the swamp. Here it was as a beautiful ground cover in the wrong place. Evidently, it didn't read the same books. It took us a few minutes to realize what the plant was, but after eliminating all the others we could think of or find in our textbooks and then later seeing it bloom after taking cuttings and growing it at the nursery, we were sure what it was. We later found it along Fowl River in Mobile county, right where it had been reported 50 years earlier, but not in the habitat we had assumed it would be found. It blooms in early February and loves a shady, well drained site and will cover an area slowly. It is evergreen with slightly larger leaves and flowers than the species. (syn. P. pubens) Georgia Fever Tree N A large, deciduous shrub found in only a few moist, sunny places now. The common name comes from the fact that the bark was made into a tea to eliminate the symptoms of malaria during "the recent unpleasantness" when the southern troops were unable to get Quinine due to the blockade by the damnyankees. There were many more plants then in the south but taking the bark off of many of them killed most and we have only a few surviving populations left. The large pink bracts in the summer give it its species name and they are very attractive. It can be hard to establish. Get 3 and maybe one will survive. It is a show stopper if it likes you. "Blooms" like a pink poinsettia in May. Quercus geminata Oak, Sand Live N This smaller, shrubby oak is found along the Gulf Coast in very dry, coastal areas. It has the same form as the more common "Live Oak" but is slower growing and more difficult to establish. We originally thought that it grew slower because of its habitat, but growing it in a nursery under the same conditions as other oaks demonstrated that it didn't grow as fast, and it didn't like as much water as other oaks. It has a beautiful shape and gives places like Grayton Beach, Fl so much of the natural feel and beauty that demonstrate that the coast is a pretty tough place to survive, if you're a plant. It is a perfect little tree for the coast and almost looks like a tree cared for by an artistic gardener when used in other settings. I have not seen it growing right out on the beach, but it can be found back behind the dunes. Swamp Chestnut N The common name for this tall, wide, specimen tree comes from the shape of the leaves and habitat. The leaves appear to resemble the leaf of the Chestnut tree and the trees are found in low places in the Southeast. It is deciduous and produces very large acorns that the deer prefer. It is a perfect shade tree and rather fast growing. Quercus virginiana Oak, Live NB This is almost the "Holy Tree" in the deep south. It is a majestic, wide growing evergreen tree. In colonial times, all of the species belonged to the King for use only by the Royal Navy because of the size, shape, and strength of the trunks and major limbs. It is the best tree to withstand the hurricane winds (along with Cypress) because the roots spread so widely. There have been millions of car and pickup engines removed and repaired using this tree, a chain fall, profanity, and lots of beer. Hence the origin of the term "Southern Shade Tree Mechanic". Rhaphidyphyllum hystrix Palm, Needle N This rare shrub-palm is the hardiest of all our native palms, "Needle Palm" ranges as far north as Auburn, AL It slowly grows in shady areas and the common name comes from the crop of needles that protect the trunk from predators. The largest we have seen is down near Orange Beach, AL and it is probably several hundred years old. It has a large, palmate green leaf and there are male and female plants. Rhododendron N This group of plants is Tom's favorite and why we are still poor. The deciduous forms are difficult to root, difficult to grow, but easy to establish if done properly. Most will grow in the sun and flower better, but when done so, need more care at first. We grow many of the native species of our region and many hybrids of the group. Most all of them like morning sun, afternoon shade, good drainage, and classical music. 'Cheerleader' N This plant was picked by Thayer out of a group of R. austrinum seedlings for the beautiful, yellow, fragrant "pom pom" flower heads. 'Escatawpa' N Typical of the species found in our local area, this plant was chosen by Arnell Blackwell and named by Uncle Bill Dodd and my Dad, Tom Dodd, Jr., for the river where it was found. It blooms in the early spring with fragrant, yellow to orange blooms. 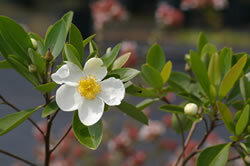 It is the most vigorous grower and was used as a parent plant in the Confederate series of native azaleas. Honeysuckle Azalea N This azalea is found in the mid to lower south and blooms with light pink fragrant flowers in the early spring. Rhododendron Chapmanii Chapman's Rhododendron N This endangered evergreen Rhododendron is found in only a few spots in the area around Port St. Joe, Florida. It has pink flowers and is the only evergreen Rhododendron that can handle the heat of the lower south. It likes shade and good drainage and will get to 6 or 8 feet tall and almost as wide. Hard to propagate from cuttings, we grow them from seed from mature plants at home. We like this plant but must warn you that it is very particular as to site. Two interesting hybrids of R. chapmanii and R. formosanum have been selected by John Thornton in Louisiana and they do well in our area. 'Willow Run' is a light pink flowered form and 'Will O' the Wisp' has white flowers. Rhododendron flammeum (syn. R. speciosum) Oconee Azalea N This plant is found naturally in the area of Georgia around the Oconee River. The flowers are not fragrant but the color range in this species is amazing. In the same population, you can find red, orange, yellow, and all the colors in between. There are some named cultivars that have been selected for a particular flower color but most of our customers want the orange types (maybe they are Auburn fans). Dad found a double flowered form many years ago that he named 'Double Pleasure' but we all think it is a hybrid as it does have some fragrance. Rhododendron oblongifolium Texas Azalea N This is a white flowered form that is found in east Texas. We still use this name although some botanists had grouped most of the white azaleas (R. oblongifolium, R serrulatum, R. viscosum, and R. atlanticum) into the same species. What I want to know is this: How is a R. viscosum from Cape Cod like a R. serrulatum from Mobile? They don't even talk alike. We believe that, if you want a white native azalea, you should get the form that does well in your area. That's why we keep the old names. Rhododendron prunifolium Plum-Leaf Azalea N This native azalea has beautiful orange to red flowers in the Summer. Even though it is not fragrant, having such beautiful flowers in the summer makes up for that one shortcoming. It was originally found near Pine Mountain, Georgia but it also occurs in adjacent Alabama. It is must have shade and good drainage to do well. There is a beautiful 30 year old plant at home that blooms pink in July-August. It must be a hybrid of R. arborescens. Some of the seed from this plant have grown very well and we offer them as R. x prunifolium. Rhododendron serrulatum Swamp Azalea N This is a white flowered form that is found near, but not in, swamps. Different populations of this plant bloom at different times. Near our home, we have groups that bloom in June, some groups in July, a few groups in August, and one group blooms around Labor Day. It is fragrant and grows well in some shade but it doesn't like wet feet. (See Rhododendron oblongifolium) We find this to be one of the easiest to grow. 'Confederate Series' N The Confederate Series of Native Azaleas were selected from a cross of Rhododendron austrinum and Rhododendron x 'Hotspur Yellow'. This cross was made by Bob Schwindt, the seed were planted by Dad and Tom III made the evaluations and named them per Mr. Schwindt's request. We had always loved the Exbury Azaleas but they can't take the heat of the deep south. The R. austrinum blood gives them the heat tolerance and vigor that we need here. Below is a list with the colors, etc. Most of them are difficult to propagate and grow, but do well once they are planted in semi-shade with good drainage. Rhododendron x 'Admiral Franklin Buchanan' Rhododendron x 'Admiral Franklin Buchanan' N Deep orange Named for the skipper of the CSS Virginia (Merrimac) and later Admiral in charge of Mobile Bay. Rhododendron x 'Admiral Semmes' Rhododendron x 'Admiral Semmes' N Solid yellow. The easiest to grow. Admiral Semmes was skipper of the CSS Alabama and he still holds the record for number of enemy ships sunk or captured. Our hometown is named for this hero. Rhododendron x 'Col. Mosby' Rhododendron x 'Col. Mosby' N Pink with yellow flag. Col. Mosby was know as the "Gray Ghost' because of his ability to attack, cause trouble, and then disappear. Rhododendron x 'Emma Sansom' Rhododendron x 'Emma Sansom' N Soft pink and yellow. This lady had the courage to lead the southern troops through difficult terrain and attack the Yankees from the rear. Rhododendron x 'Frederick O. Douglass' Rhododendron x 'Frederick O. Douglass' N Soft Pink. Bob Schwindt probably wouldn't go along with this name, but I consider him a southern (Maryland) hero and one of the greatest orators of all times. Rhododendron x 'Maj. Leroy Broun' Rhododendron x 'Maj. Leroy Broun' N Deep orange. Named for a Confederate officer who later became President of Auburn University. Rhododendron x 'Nathan Bedford Forrest' Rhododendron x 'Nathan Bedford Forrest' N Orange. Named for the best General from the South during the "recent unpleasantness". He got a bad rap later for starting the KKK but they kicked him out because he was against their racist stupidity. Rhododendron x 'Pvt. Lafayette Acree' Rhododendron x 'Pvt. Lafayette Acree' N Ruffled orange. Named for Tom's ancestor that was a hero during the "recent unpleasantness". He and two other privates captured Gen. Crittington and his entire staff at the beginning of the war. When asked about his time in the army in his later years, he said "I never believed in secession anyway". Rhododendron x 'Gen. Robert E. Lee' Rhododendron x 'Gen. Robert E. Lee' N The closest we have gotten to red. Hardest to grow. A hero to all southerners. There is a waiting list for this one. Rhododendron x 'Stonewall Jackson' Rhododendron x 'Stonewall Jackson' N Medium orange. The largest of the series. My favorite native azalea and my favorite general. 'Desi Arnez' N We got this plant from Gail Barton who got it from Bob McCartney at Woodlanders. Gail's husband, Richard, named it for his hero and Bob is scratching his head. It is a great plant and we spent years telling landscapers how nice it was as a full sun evergreen groundcover that had a great fragrance in the leaves (which gives it the common names "Georgia Savory" or "Desi Arnez Georgia Savory". It must have light and drainage. Thus the "x": it has to be a hybrid because our forms of the species are usually found in filtered shade. I know botanists could give me a list of the differences, and maybe who the papa was, but nurserymen are not that astute. Sisyrinchium angustifolia Blue eyed grass N A lily with blue flowers that you can use instead of grass or liriope. Stokesia laevis Stoke's aster NB One of our best known native perennials. We grow a blue flowered form and a pure white flowered form. Evergreen leaves. Sun or shade. Moist or average soil. Have seen these growing wild along the roadside in South Mississippi. Taxodium distichum nutans (syn. Taxodium ascendens) Pond Cypress N A slightly smaller version of the "Bald Cypress" that has its needles pointing up instead of horizontal. This tree has the same great characteristics but it has less desire to put up "knees" in the landscape and can be planted closer to structures than the "Bald Cypress". We have three next to our office and they have been perfect. This is probably my favorite tree for more reasons than we can list here. Rabbit-eye N The favorite Blueberry in the south. There are many cultivars and hybrids of this plant and we grow some good old types that were developed over at Tifton, Georgia and two that Dad picked out from his seedlings. They flower in the early spring and different varieties produce fruit at different times, ranging from late May until late June (here in Mobile). They should be used in every landscape. Spring white bell shaped blooms, summer fruit, fall color, and winter form. They grow in sun or shade and moist or dry soils. 'Georgia Gem' N This is the earliest to produce fruit. It would be hard to describe how good this fruit tastes after waiting so long for fresh blueberries in the spring, after most of the native azaleas have bloomed. 'Pop's #2' N This is one of the ones Dad picked based just on fruit quality. An excellent choice. 'Red Red' N This is one of the ones Dad picked based just on fruit quality. Thayer looked at it during the fall and it was in beautiful, red fall color so she named it. Great food tree and great landscape appeal. Vaccinium darrowii Blueberry, Darrow N A great landscape plant for a dry area that may be hard to establish, but well worth the effort. It has grey-green foliage, (bronze foliage in the winter) and it does produce fruit, albeit small. I once told a customer that we only sold those plants to people with short children or bird lovers because it was too much trouble to bend down long enough to get a snack. It seems to like the sun or part shade and must have good drainage. Several selections are available, but we like the diversity in the species. 'Carolina Pink' NB A good selection of groundcover verbena. Butterflies love the blooms all summer and into fall. Zephranthes grandiflora Pink Rain Lily N Fun to plant in masses and wait for it to bloom. Fun to sell at plant sales because it is never in bloom and you are basically convincing someone to buy a pot of dirt. This is the kind of plant you will find at arboreta and Master Gardener sales, because most retailers aren't willing to risk it.